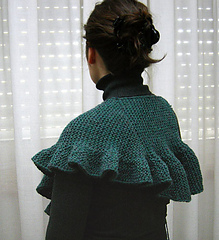 The original “Jane’s Shawl” was inspired by the 2011 Jane Eyre film. 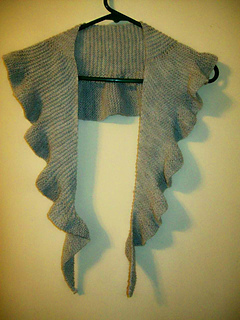 The pattern was made on a small knitting loom, but there were many requests for a version to be made with needles. 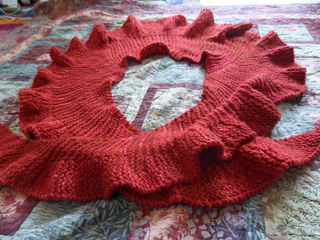 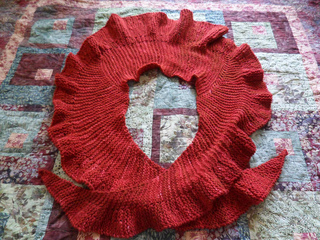 Helen Jacobs-Grant myheartexposed was kind enough to convert the original loom knit pattern to a needle knit pattern. 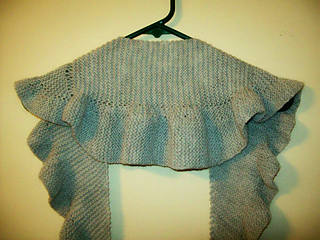 Many thanks to Helen for making this conversion pattern! 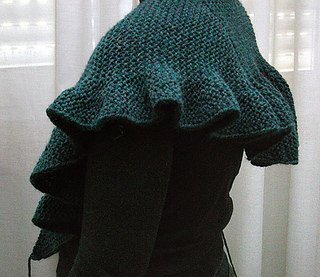 The shawl may be made larger or smaller by simple adjustments to the back, noted in the pattern. 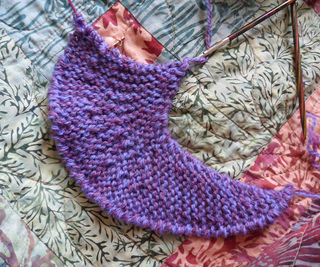 DK yarn is called for, but worsted weight yarn will also work well. 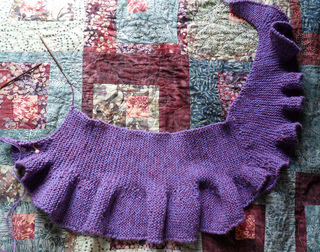 The shawl has a “U” shape, that allows it to sit on the shoulders without the need of a pin to hold it in place.